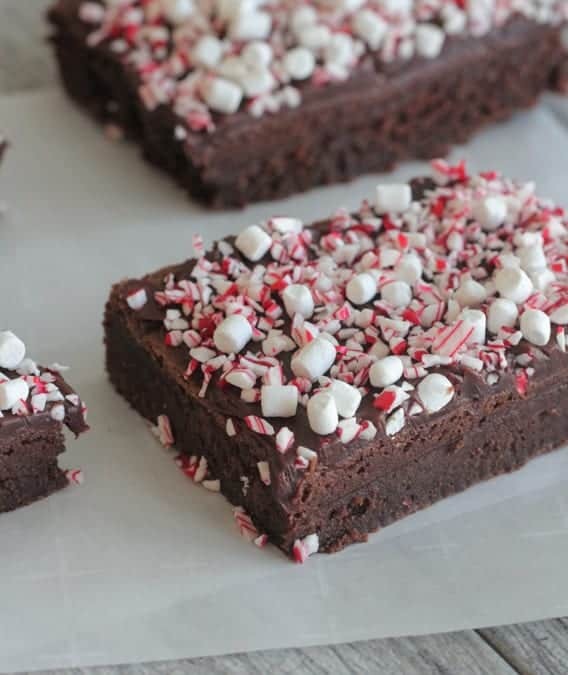 Chocolate Marshmallow Peppermint Bars - Best Brownie Recipe! 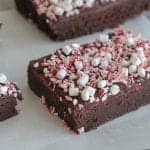 Sharing these gorgeous Chocolate Marshmallow Peppermint Bars, the BEST brownie recipe for your guests! Perfect for your Holiday baking. The best brownie recipe is making its’ way to your kitchen this Holiday season! These bars are a chocolate lovers dream! Chewy with the perfect crunch from candy canes and marshmallow bits. Your guests are going to go crazy for these. They make festive gifts for your family and friends too. For more Christmas recipes see HERE. You’ll need a few easy to find ingredients that you are likely to already have in your pantry and refrigerator. 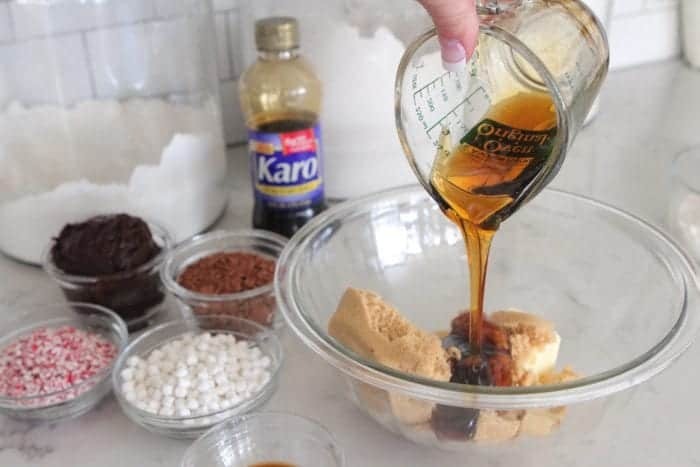 It’s always a pleasure partnering with Karo® Syrup to bring you a festive treat that is sure to be the star of the dessert table! Start by adding your softened butter and brown sugar to a large mixing bowl. 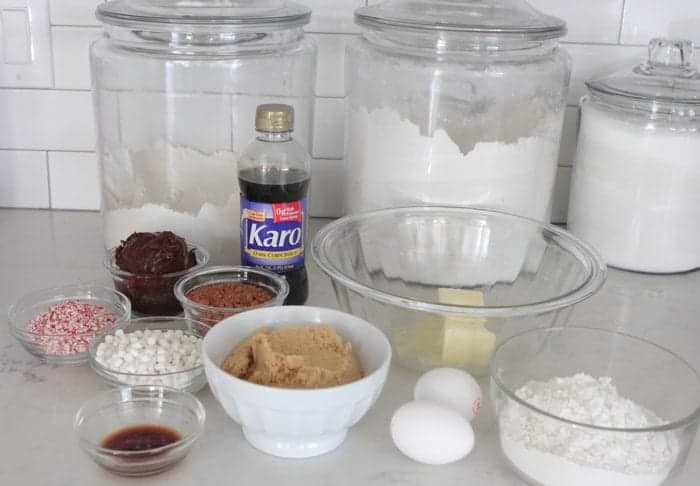 Add your Karo® Dark Corn Syrup. Mix well then add 2 eggs, vanilla, and stir until well combined. Add your dry ingredients and give a good stir until dough forms. Transfer batter to a parchment lined baking dish and bake for 25 minutes, or until baked through. Remove and let cool. Once your bars are cool, frost with a thin layer of chocolate frosting and top with crushed candy cane pieces and marshmallow bits. Wait until you sink your teeth into these chewy chocolate brownies. Make sure you use parchment paper to line your baking dish. Makes it much easier to pull out bars to cut into squares. 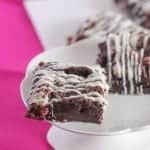 Use a plastic knife to cut your brownies into squares. No sticking, no mess! 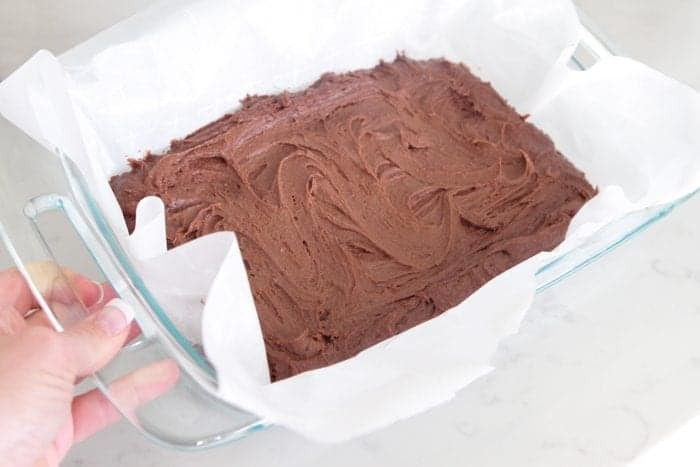 Store any leftover brownies in an airtight container for 3 days on counter or 5 days in refrigerator. These make great neighbor gifts too! Preheat oven to 350 degrees F. and line 7x11 inch baking dish with parchment paper. In a large bowl mix butter, brown sugar, corn syrup, eggs and vanilla until well combined. 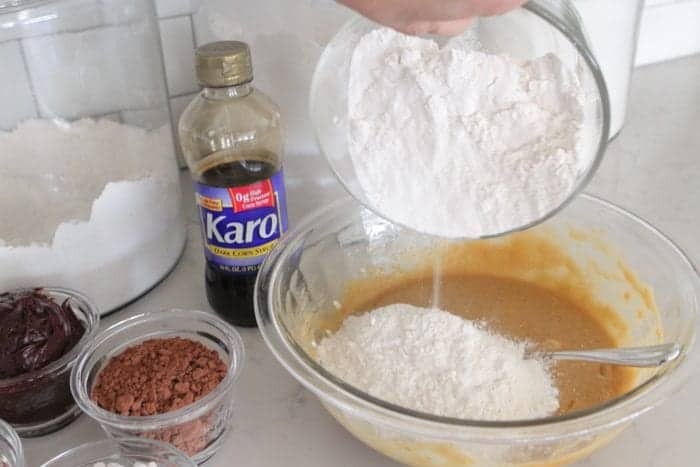 Slowly stir in flour, cocoa powder, salt and baking powder until dough forms. Transfer to baking dish, spread evenly and bake for 25 minutes or until baked through. Remove and let cool completely. 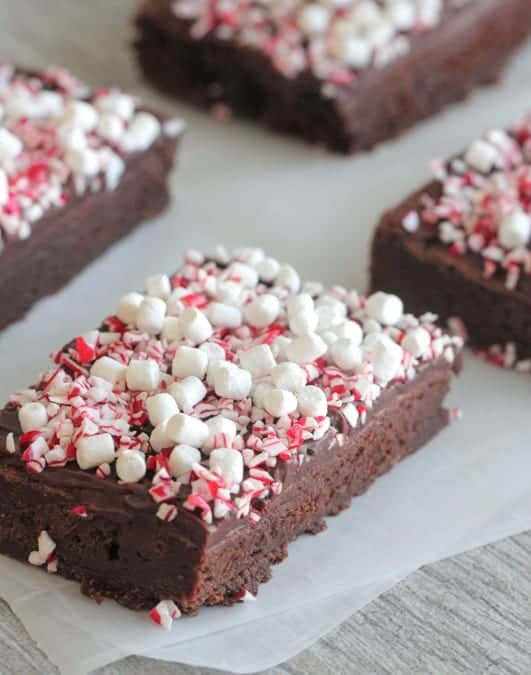 When bars are cooled, spread with frosting and top evenly with marshmallow bits and crushed candy cane pieces. Cut into squares and serve room temperature. Recipe inspired by THIS from Karo Website. Disclaimer: This post was in partnership with Karo® Syrup in 2016. All thoughts and opinions are 100% my own. Thank you for supporting the brands that make Picky Palate possible. What festive bars for the holidays! These look so lush and fantastic! So festive! These are sure to be a hit this holiday season! All of my favorite things, who could turn these down!!! The marshmallows make the bar! 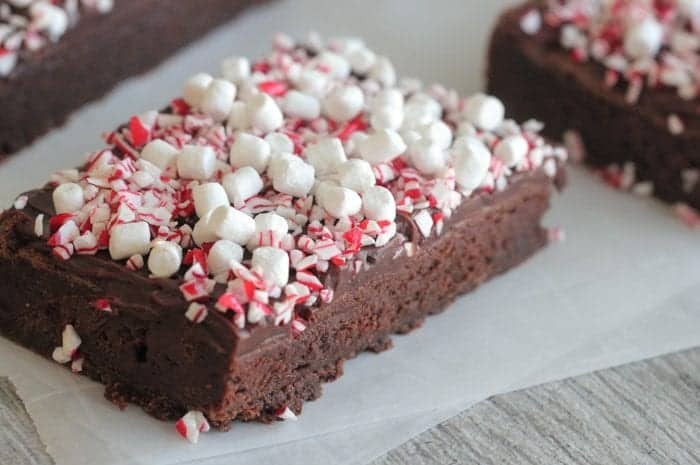 These are so fudgy and festive! Love! All of my favorite holiday sweets in one recipe? I cannot turn this down. They look like a combination brownie and fudge. I’m in love! You had me at marshmallow peppermint!!! 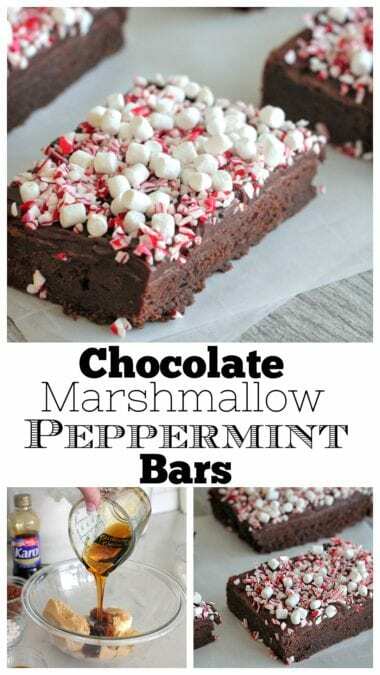 Pinning so I can make these with my boys over winter break!! 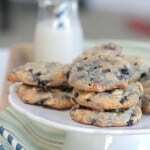 These would be stunning on a cookie platter! All my favorites in one place! All of my favorites in one spectacular treat!! These look amazing! Easy to make and most importantly scrumptious!! !